With Christmas literally just around the corner, everyone at Bonorong knows just how hectic this time of the year can be! We have certainly had a busy few weeks with lots of extra animals coming in to care (particularly of the feathered variety) due to the wild weather Tasmania has been having. With just an unbelievable 5 sleeps until Christmas we are sure there are a lot of you feeling very excited but also running around trying to get all your final Christmas bits and pieces sorted! We are certainly getting in to the festive spirit here at Bonorong and even our enrichment activities have taken a Christmas theme! These beautiful 'animal friendly' wreaths were made by one of our amazing volunteers Linda! The 'cocky wreaths' are made from grass, native flowers, pinecones, honey nectar mix and different seeds all bound together. 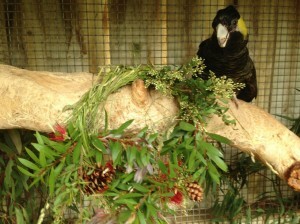 We tested them out on our three resident Yellow-tailed Black Cockatoos and they absolutely loved them!! We will be giving a lot of our resident animals variations of these wreaths on Christmas Day, so if you come out for a visit you will get to see them demolishing their Christmas treats! We also thought it might be a good time to let you know that if you are looking for a gift that gives twice then just like last year we have our 'Christmas Tree Gift Appeal' going again! 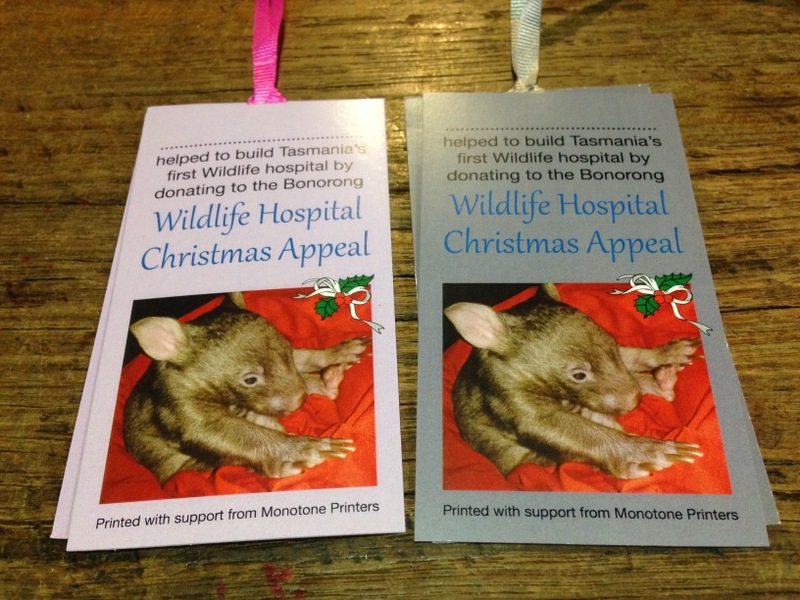 You can buy a beautiful little Christmas gift tag to hang on the tree at home and then we keep one here at Bonorong with your name on it to show that your supported our wildlife hospital appeal! Not quite what you were after? We can also do gift vouchers or why not just come and have a browse in our beautiful gift-shop to find that perfect present?